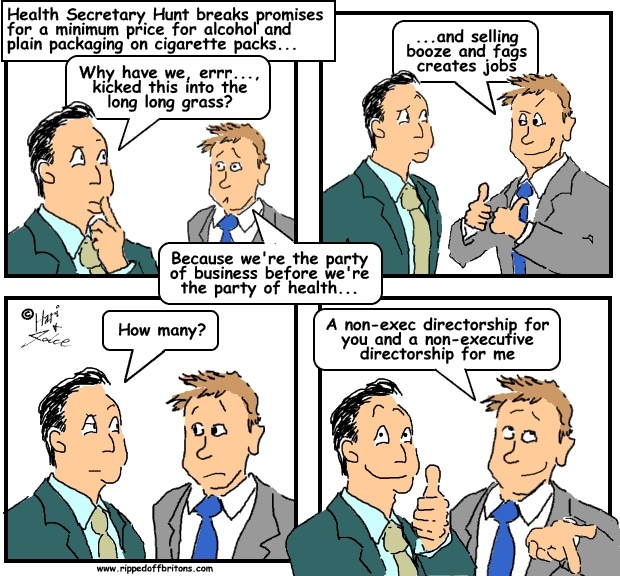 Cameron checks whether Jeremy Hunt has got his sums right. He has!.. The coalition has dropped plans for plain packaging amid murky circumstances. Public health measures such as this and minimum alcohol pricing deserve better than death by lobbyist.